So, wait. What? Rachel liked a movie better than a book? Since when is that even a possibility in this universe? Divergent is a big exception to this rule. After seeing the movie, I appreciated the intelligent concepts and creativity of the story much more. In fact, I’m grateful to the movie for helping me like this neat story better. It made the good parts of the story shine and buffed away some of the rough edges that put me off in the book. Many readers may disagree with me on this (happily, I value divergence, so none of you will be getting a visit from the Erudite authorities). But here, in no particular order, are the basic reasons I found myself sitting straighter, laughing louder, and clutching the seat-arms harder than I thought I would as I viewed this film. Every paragraph is infested with spoilers, bee tee dubs. This is a big complaint I often have with book-to-movies; some of the most important moments in the novel get watered-down onscreen and lack the emotional punch they should have. I was so disappointed with Rue’s flower funeral scene in Hunger Games. I literally raged at the incompetent handling of the “I’m Not A Coward” scene between Harry and Snape in The Half-Blood Prince. With Divergent, however, the effect is the opposite. Seeing it onscreen breathed life into some of the moments that felt listless to me while turning pages. Take, for example, an early scene when Tris (Beatrice) is running with her new faction, the Dauntless, to catch the Dauntless trains for the first time. In the book, you got the idea that this was an unruly group of teens having fun, while the new initiates scrambled to keep up. In the movie, though, we got a heart-pounding drumbeat as Tris runs with them. They swarm the train platform and crawl upwards. Tris is the last to climb; will she make it before the train gets there? Then there’s that beautiful few seconds when Tris is the only one who doesn’t realize they have to run to catch the train. Everyone else starts off ahead of her, and for a breathless moment, the audience worries she won’t notice. Talk about effective cinema. I also loved the flying-from-roof scene, when the Dauntless-born initiates hitch Tris to the sling and send her sailing from the top of a building. This was one of my favorite concepts from the book, and I was delighted with how the director handled it. We see Tris’ joy as she begins—her uncertainty as the cable leads through the middle of a dilapidated building—her terror as it looks like the cable leads to a dead-end on a roof—and finally her muster of last-minute wits as she pulls the break to keep from splattering against the wall at the end. 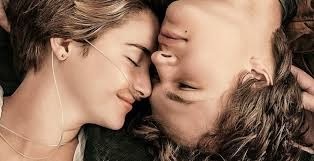 It’s a breathtaking little microcosm of her inner journey from joyfully escaping Abnegation, to finding a world she doesn’t expect, and learning how to handle it. Additionally, action scenes usually play out better onscreen than on the page, and this story is packed with action. The training fights, the simulations, and the ending battles seemed more real in the theater than they did when I read them. One of my main gripes about the book was how much time we spent watching Tris and the other initiates get to know each other and struggle through endless training sessions. Author Veronica Roth threw an awful lot of characters at us—Eric, Peter, Al, Drew, Molly, Christina, Four, Tori, Will—and then spent the majority of the book bouncing those character from fights to capture-the-flag to dinner to drunken revelries to family visiting day. The string of semi-related events didn’t feel cohesive. 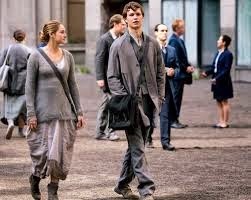 All the while, more interesting concepts lurked in the background—like society’s attempt to isolate the different human characteristics that make us go bad; or the question of where bravery and selflessness intersect; or the mystery about why Erudite is stirring up things against Abnegation. I was fascinated by the final battle scenario, where Tris and Four are the only “awake” Dauntless members because they’re Divergent. But the book spent more than half its energy on the high school dynamics of Tris’ initiation group, and waited too long to begin the final battle sequence. The movie tightened its focus and paced itself better. It gave us only the main characters to worry about. 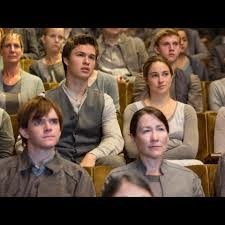 Al, Peter, Will, Molly and Drew were in the background, allowing us to focus on Tris, Christina, Four, and Eric. Training scenes moved quickly, and the point behind each exercise was better explained, helping to clarify the overall trajectory of the Dauntless program. Overall, the training stuff took up less space than in the novel. Thanks to all these things, we were allowed to focus on what was most important: Tris’ growing Dauntless bravery; her quest to discover what Divergence means; the hint of government overthrow; and her growing feelings for Four. That’s it. No mini revenge plots with Peter’s gang. No worries about Al’s mental stability, or how to politely turn down his advances. No obsession with rankings at every single turn. Just boom, boom, boom, one plot point leading inevitably to the next. This allows for a greater percentage of screen time devoted to all the exciting stuff at the end. Okay. I’m just going to say it. With all respect to the author, some of the writing felt clunky and stiff. I know. I know. (Hiding behind my desk chair). Please stop throwing things. I’m sorry. Well, no, I’m not sorry, because I meant it. But can I come out from behind my desk chair without all of you killing me? I hesitate to nitpick over writing style because, as a writer, I can’t imagine a more hurtful thing than for someone to say that my prose doesn’t flow. So I wouldn’t be saying this unless I was really sure I meant it. Although the concepts were great and this author obviously loves her story, the writing felt amateurish. First, clichés abound, both in the narration and dialogue. Do people really gulp in the middle of uncomfortable sentences? Do girls really feel physical sensations every time they interact with their crush? Does everyone say over-used phrases like “How on earth” in conversation? I also sensed an over-focus on active voice. Now, this is something I can sympathize with. In my early days of novel writing (okay, let’s be honest…up until two or three years ago) I had the importance of active voice drilled into me by writing groups. The problem is, if you get too zealous about this, it’s easy to see active voice as a rule rather than a tool. It can actually start to limit the flow of what you want to write, forcing each sentence into a little box that looks suspiciously like all the other sentence-boxes you’ve created for the last three chapters. I’m not sure if this is what happened to Veronica Roth, but it sure seems like it. In the movie, however, all of this is gone, replaced by excellent directing and stronger written dialogue. Problem solved. Fortunately, the disappearance of clunky narration also freed me up to understand the characters better. Tris was easier to interpret on the screen. Her book narration, while in first person, ironically didn’t help me understand her. It seemed that her motivations and feelings were always going three directions at once, often contradicting themselves, leaving me confused about who she really was and what was at stake for her. Granted, she’s supposed to be complex (Divergent, after all) but it just came across as unfocused. 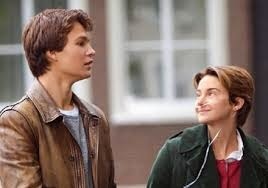 In the movie, however, we have three external things to help us interpret Tris: her dialogue, the events occurring around her, and Shailene Woodly’s portrayal of Tris’ actions. We’ve already covered how the dialogue improved. Woodly kept Tris consistent by maintaining some timid mannerisms alongside growing determination and confidence. Beyond that, we see clearly what’s at stake in every scene, but don’t have Tris’ inner thoughts constantly jumping to other things to confuse us. All in all, the movement of her character development feels clean and smooth. Likewise, Four came off better. The movie let him be mysterious, which worked. Yet it didn’t play up the misleading appearance of him picking on Tris, or the ambiguity of whether he’s a jerk like Eric. I found these changes refreshing and much less condescending to the audience, since we’ve seen enough teen fantasy stories to know that mysterious guys are usually tender-hearted love interests in disguise. We got to enjoy simply discovering his character piece by piece. Did the movie get everything perfect? No. It missed the mark on some important things. Tris’ mother was never revealed to be Divergent, and her death scene was not the intentional self-sacrifice we saw in the book. 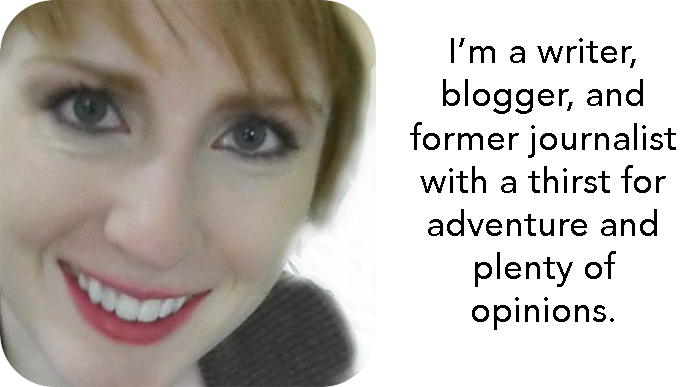 The exploration of what bravery really is was mentioned all of once. And the ending gag of sticking Jeannine with her own serum was strained at best. But overall, this was a great movie. The writing was good. The visuals were nice. The music was right on track. And we got some great performances by actors Theo James and Shailene Woodly. 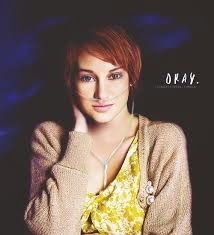 On a side note, Woodly will also be playing the lead in another teen book-to-movie, Fault in Our Stars, due out in June. Hey, wait a second. 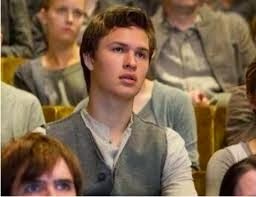 It looks like there’s another main actor in both Divergent and Fault In Our Stars.